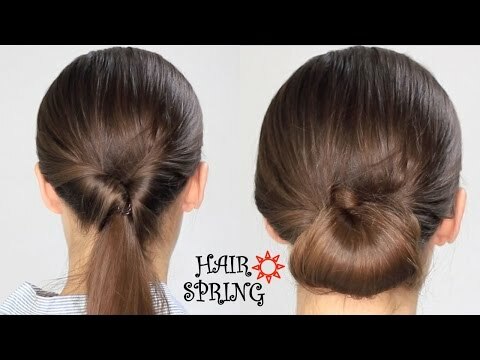 How to transform an inside out ponytail and transform it to an elegant bun ? A hairstyle for busy women ! 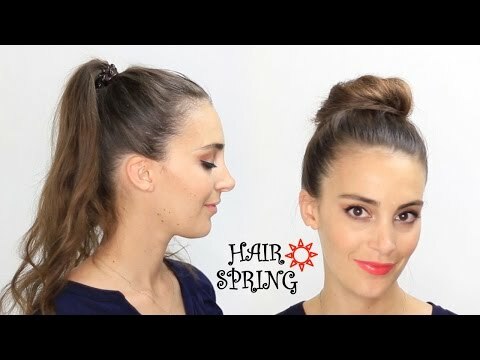 How to turn a voluminous ponytail in a casual bun ? Gaëlle answers! If you never know what to do with your hair, this tutorial will give you inspiration. Easily create a bun wrapped in two pretty breads ! 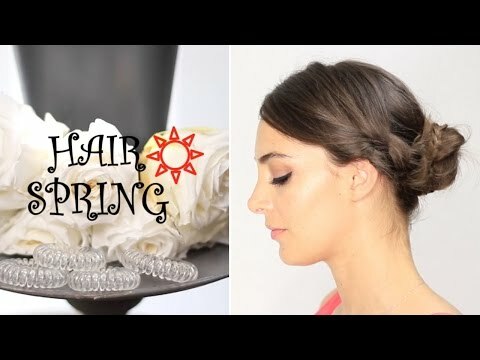 Create a modern ponytail with your colored Hair Spring hair tie.